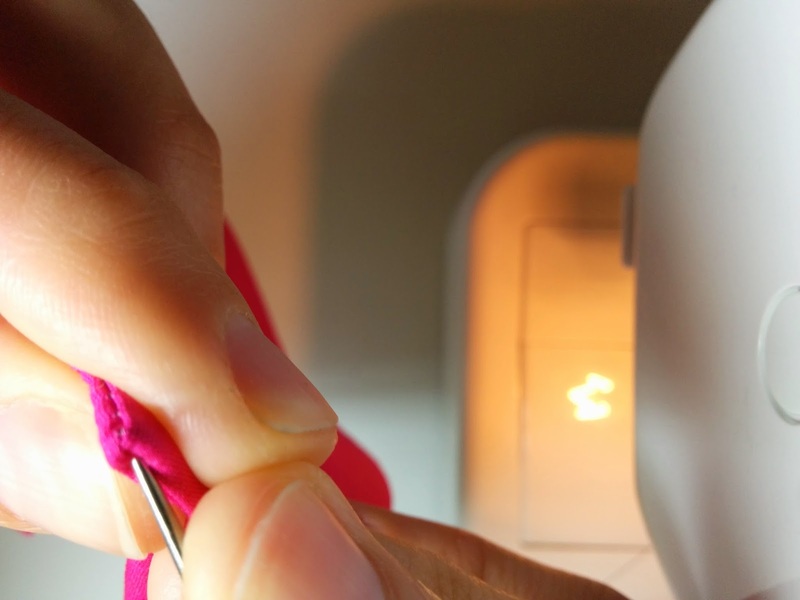 During my tie-making course, the biggest revelation to me was sewing the pointy tip. 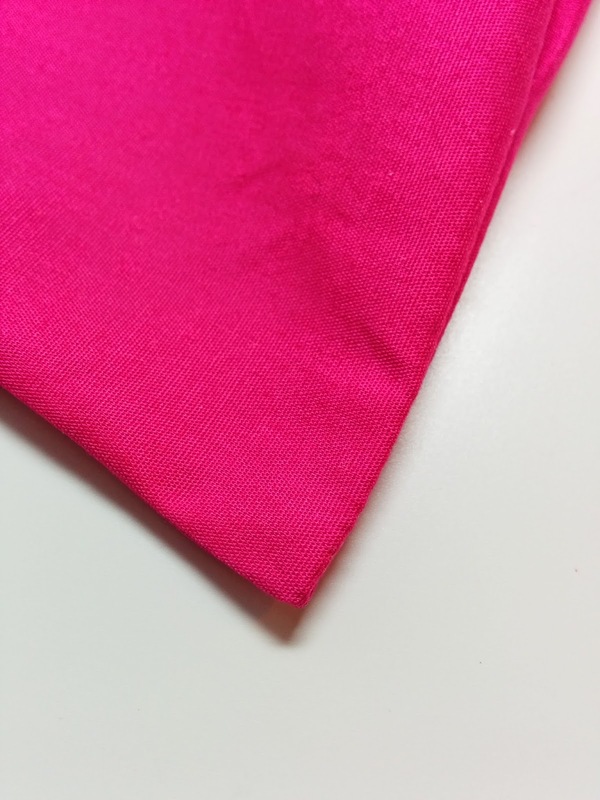 In the past I sewed a dress with lots of corners and was taught a very valuable strategy for corners from Susan Khalje. But to my big surprise, making a sharp tip was simpler than I thought. 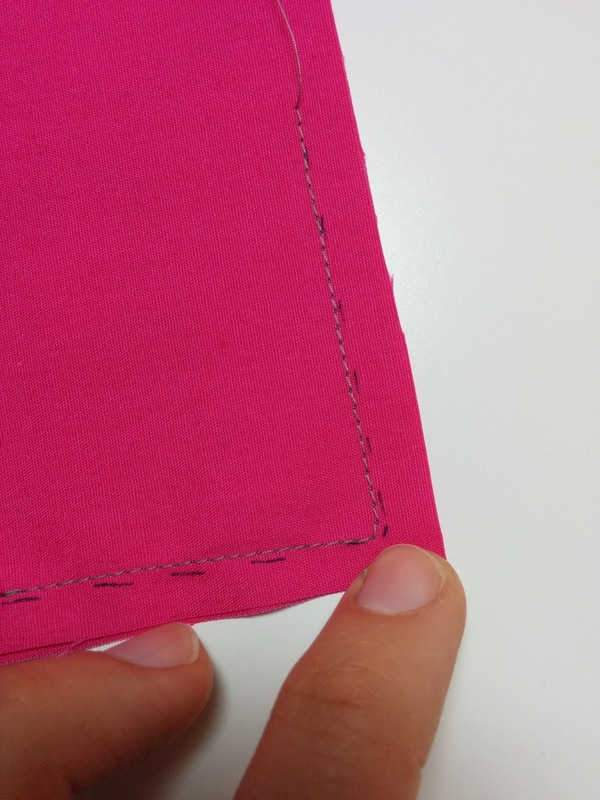 When you sew a sharp corner on a tie, a blouse placket, on a waistband etc, do the following. 1. 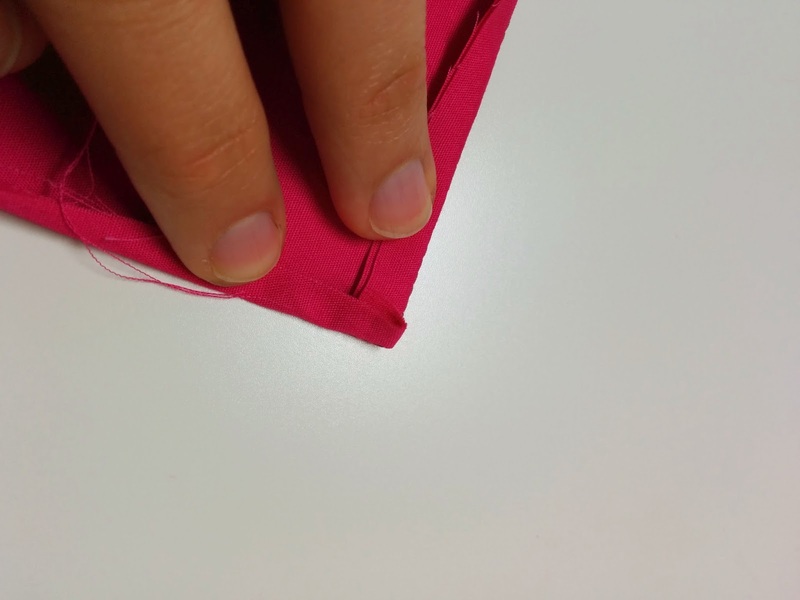 Place the two pieces of fabric together, matching the corners. 2. 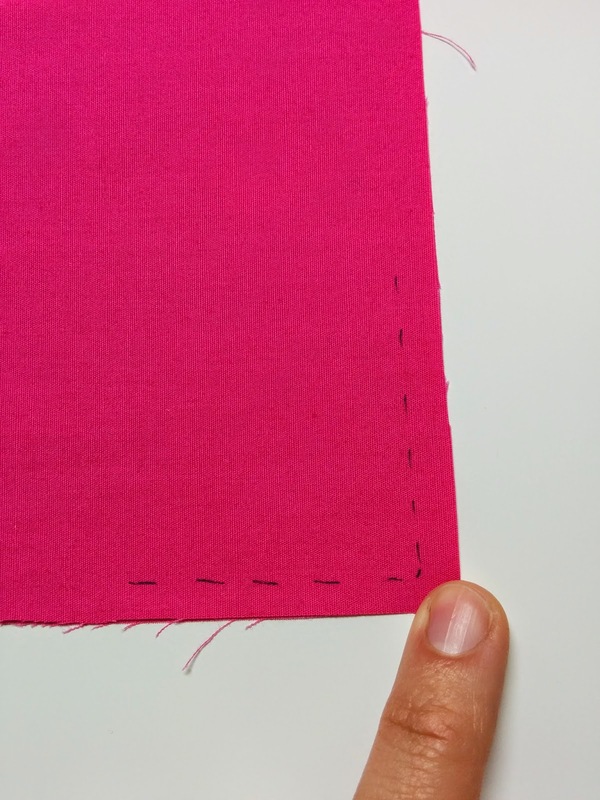 Instead of sewing a sharp right angle, make one or two stitches on the diagonal as shown on the picture below. 4. 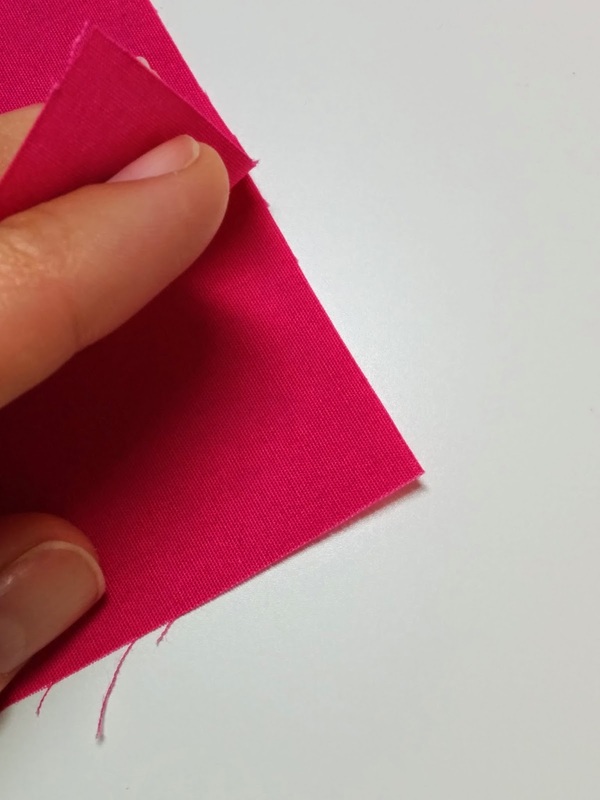 When I turn my corners, I do not trim the excess of fabric. 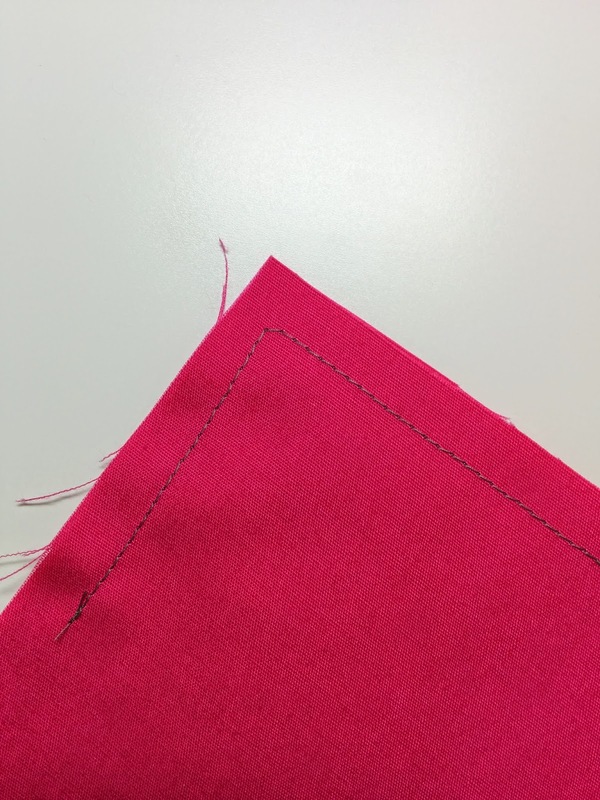 I fold both seam allowances towards the wrong side of the garment and turn them. 5. Use an awl to help turn the pointy end. 6. Here you go! The point of your garment is sharp as a knife! 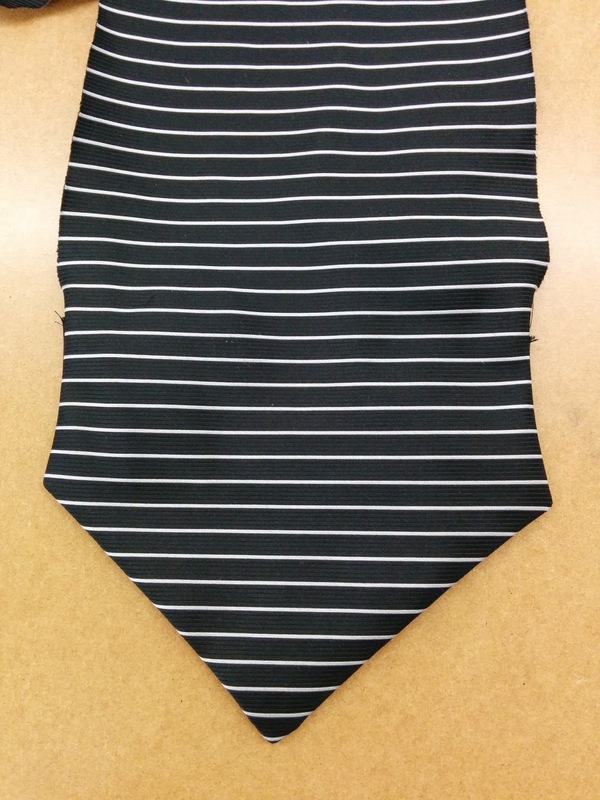 Let the summer sewing begin!